Limited Lifetime Warranty. Need help? Please contact VIGO customer support at 1-866-591-7792. 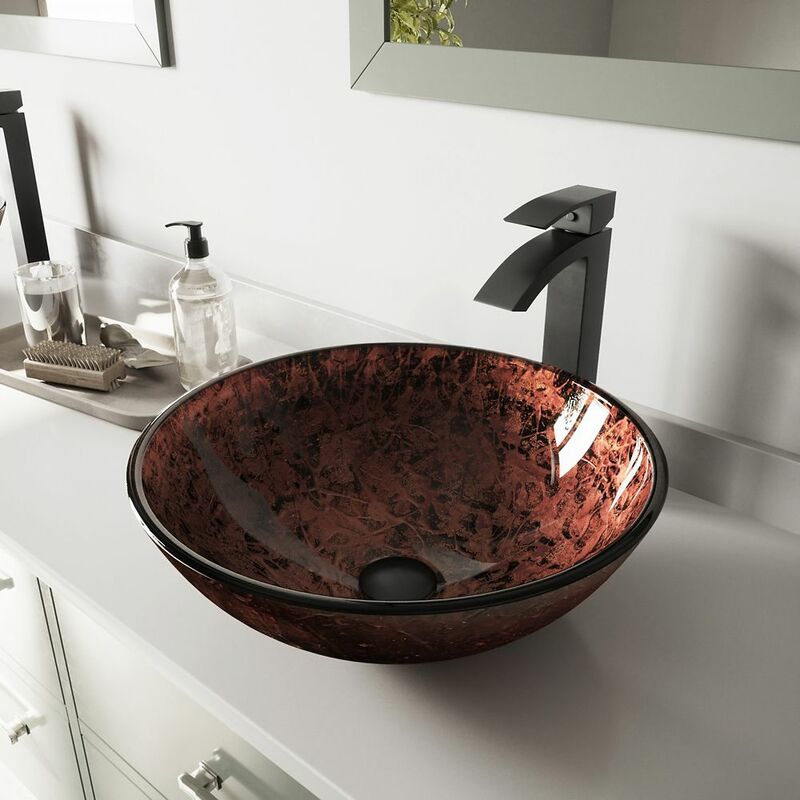 Glass Vessel Sink in Mahogany Moon with Duris Faucet in Matte Black is rated 5.0 out of 5 by 2. Rated 5 out of 5 by pfmk from Gorgeous glass vessel! So happy with this beautiful sink. Bought it without seeing, and its so luminous. Drains well and great faucet with it. The whole package is stunning! Rated 5 out of 5 by house proud from Sparkles ! We purchased a second Vigo sink because we loved the design & stunning color so much. So easy to install and easy to keep clean. I love the wide range of glass colors available and the high quality of the vessel sink and the faucet designs. Now I am inspired to look at Vigos other product lines.